Dr. Janet Smylie is a family physician and public health researcher. She currently works as a research scientist at St. Michael’s hospital, Centre for Research on Inner City Health (CRICH), where she directs the Well Living House Applied Research Centre for Indigenous Infant, Child and Family Health. Her primary academic appointment is as a Professor in the Dalla Lana School of Public Health, University of Toronto. She maintains a part-time clinical practice at Seventh Generation Midwives Toronto. She is a member of the Métis Nation of Ontario, with Métis roots in Saskatchewan. Her research interests are focused in the area of addressing the health inequities that challenge Indigenous infants, children and their families through applied health services research. 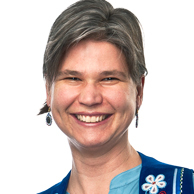 Dr. Smylie holds a CIHR Applied Public Health Research Chair in Indigenous Health Knowledge. She is also a mother of eight children (including twin boys) and four adults.